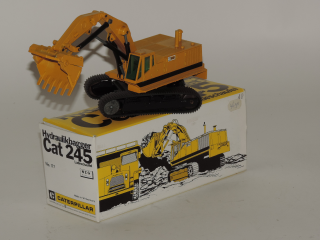 NZG 177 1:50 Caterpillar Cat245 Hydraulic Excavator Front Shovel Near Mint in Box. 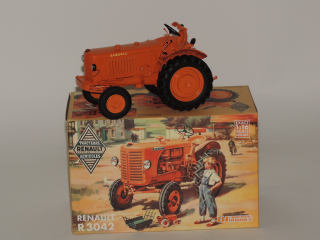 Universal Hobbies 2227 1:16 Renault R3042 Tractor Near Mint in Box. 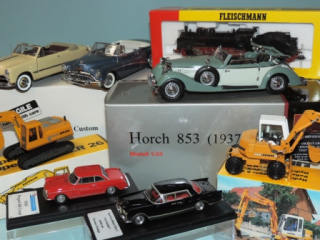 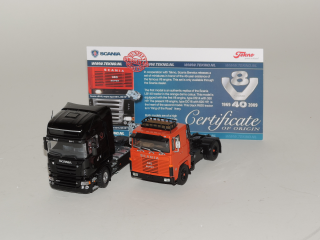 Tekno 40 Years Scania V8 1:50 Scania 140 and R629 Near Mint. 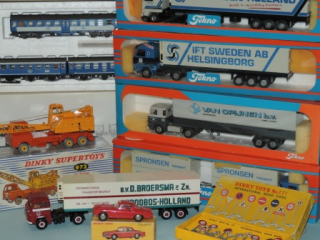 This is a Combi with Certificate of Origin. 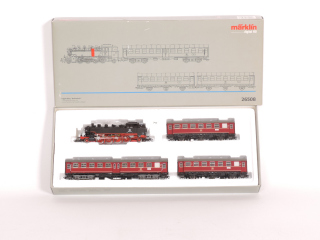 Marklin 26508 H0 Commuter Service Train Set Near Mint in Box. 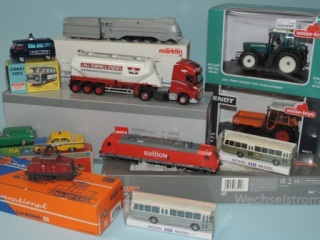 Marklin 26508 H0 Commuter Service Train Set Near Mint in Box. 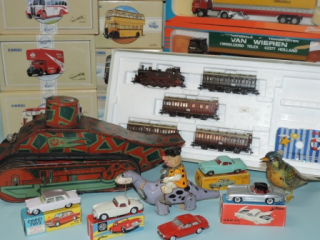 1 steam Locomotive with 3 different Commuter Cars.